Humidity should be maintained accurately just like how we maintain our diet. There are plenty of disadvantages of high humidity for health and homes that are caused by excess humidity. Keeping a good track of health is essential for a person to prevent from illness and diseases. Though we take care of ourselves with a healthy diet, we are not 100% healthy unless we take care of the environment in the house and around us. Most of the time we believe that eating healthy and having a good sleep is enough for us to stay healthy, however the microorganisms in the air which are caused by humidity can make us unhealthy and uncomfortable. The humidity in Sharjah is always above the average limit as a result, the atmosphere around is not pure. There are chances of Bacteria and Pollutants to develop and hence controlling humidity is very much important and essential. 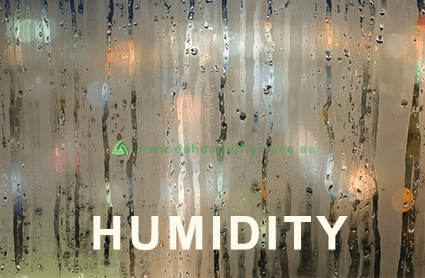 How to get rid of Humidity in Sharjah? The humidity can be removed with a portable device known as Dehumidifier. The dehumidifier controls the humidity content and takes care of your house and expensive items. It also protects your house from getting damaged like dampness on the wall, mold and furniture damage and prevents musty smell. By buying dehumidifiers in Sharjah from Vacker UAE, you can now avoid dangerous consequences that are caused by humidity like chapped lips, head ace, dizziness, fatigue and so on. Where to buy Dehumidifier in Sharjah? Vacker UAE is a great choice when it comes to buying dehumidifier in Sharjah. You should always check the company's overview before buying the right dehumidifiers for your home and office. When you buy a dehumidifier, few things you need to consider always, such as product quality, durability and effectiveness. Vacker UAE has ever since been a trusted platform for choosing the right dehumidifier in Sharjah. As it has been providing dehumidifiers of world class range to the whole Middle East since 5 glorious years. Also maintaining the standard of being the favorite dehumidifier provider for residents. Which Dehumidifier should I buy in Sharjah? dehumidifiers come in different ranges with different capacity. Dehumidifiers are used for various applications in different industries. Hence, you should first analyze the area of your room before choosing the appropriate dehumidifier model. And now, when you have the details of Dehumidifier Capacity that you require, you can choose the models as per the capacity. TTK 40 E is a smart portable dehumidifier with dehumidification capacity of 14 Liters for maximum of 24 hours a day. The device offers safe protection from humidity and prevents from mold and dampness. It protects from all the damage that can be caused by humidity. It has washable Air Filter. It has large LCD Display. It is equipped with 2 Stage Fans. The Dehumidification capacity is maximum 14 Liters per day. Water Tank Capacity is 3.5 Liters. TTK 68E is a device with good performance. The dehumidifying capacity of this device is 20 Liters per day. With stylish green metallic design, this device adds color to your home and office environment. This device has great function for drying clothes. With this dehumidifier, it is easy for you to dry wet clothes. It has electric automatic defrost. It is equipped with 3 Stage Fan. Great Quality LCD Display with metallic green color. It has Warning Lamp Indication if the water tank is full. The device also has auto-timer for shut off. 1-24 hours. The Dehumidification capacity is 20 Liters. This is a highly efficient dehumidifier with great dehumidification capacity of 40 Liters per day. This top dehumidifier has high-class gas dehumidification defrost system. This dehumidifier guarantees high dehumidification performance even in the low temperature areas. One great feature of this dehumidifier is that it is designed with stainless steel which makes it much more efficient to use in harsh and rough environments. The device has Hot Gas Automatic Defrosting System. It has high Dehumidification Performance for low temperature areas. It has Alert Lamp to indicate if the water tank is full. The device has connection for eternal condensation drain. The dehumidification performance of this device is 40 liters/ 24 Hours. Water tank capacity is 10 Liters. Please read our article on Best Dehumidifiers in Dubai, Abu Dhabi, UAE for more details. Vacker UAE recommends above dehumidifiers which can be used for different applications. Buy choosing the right dehumidifier, you are protecting your home and future.